Create more space in your garden with this convenient Cucumber & Squash trellis. 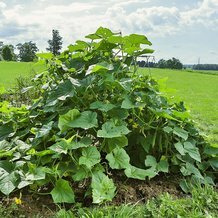 This heavy duty A-Frame design keeps long vines off the ground while ensuring a consistent level of squash and cucumber support. 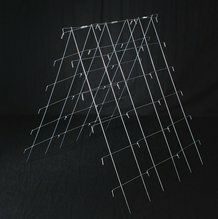 To store trellis: Turn it upside down and align both sets of panels. 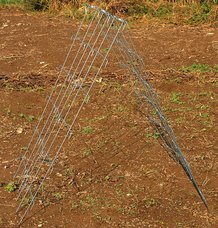 Once the trellis is uniform, hold onto the lowest set of runs and begin to fold. When folded, trellis is 48"H x 14"W.